Older Londoners “rave” in parties over tea! If there is one truth I recognized in working with older adults its that they all were once young and have the stories to back that up! Many retain their youthful sense of humor and perspective…even if the old body is slowing down. I love hearing about the experiences they had as they navigated life. I regularly attend events geared towards older adults and dancing is commonly on the agenda. Most seniors like to boogie and many retain a rhythm that today’s youth can’t match! Case in point are tea party “raves” taking place in London. I came across this article and loved the outfits and spirit of the folks “raving.” Remember, you are only as old as you feel. RAVE ON! Hot Dog! Fun Friday at Amy’s Place in Historic Roswell! us…so, this past Friday. 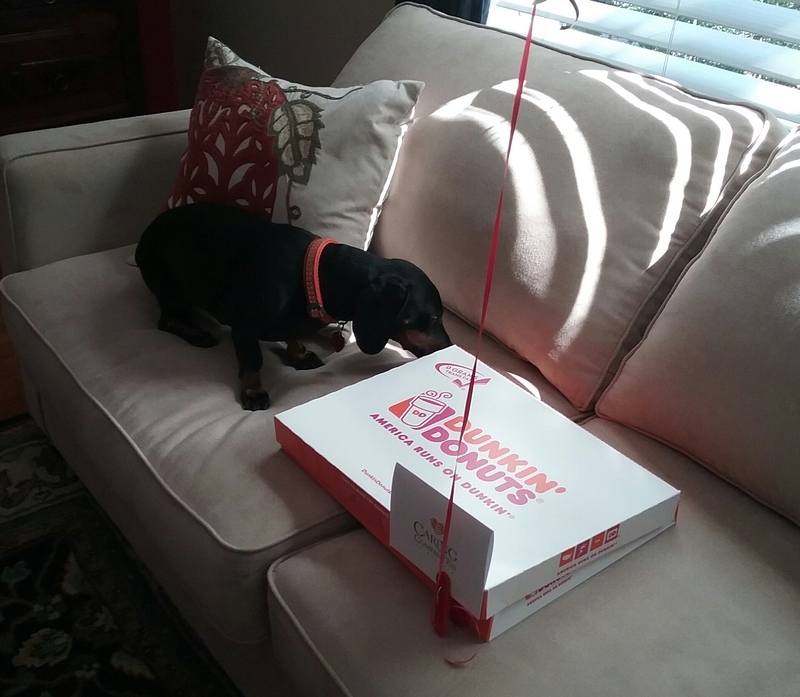 Caring Companions of Atlanta had the pleasure of paying them a surprise visit, complete with donuts and a balloon! Take a close look at the balloon…quite apropos when delivered by two middle aged owners of a home care company in an industry so dominated by females! take this to heart the next time I have that negative vibe! So Earl seemed quits interested in both Paul and the donuts. On two occasions, the pint-sized dachshund broke into wind-sprints as Paul egged him on. It was quite a site to see his little legs in a blur as he raced back and forth. He later recovered from his antics on my lap. Earl really adds to the atmosphere at Amy’s Place. He has an energy and demeanor that makes folks smile. Well, me anyway! I wonder if Pam ever offered him a donut!? Earl? Did you get one? If not, let me know…I’ll hook you up! 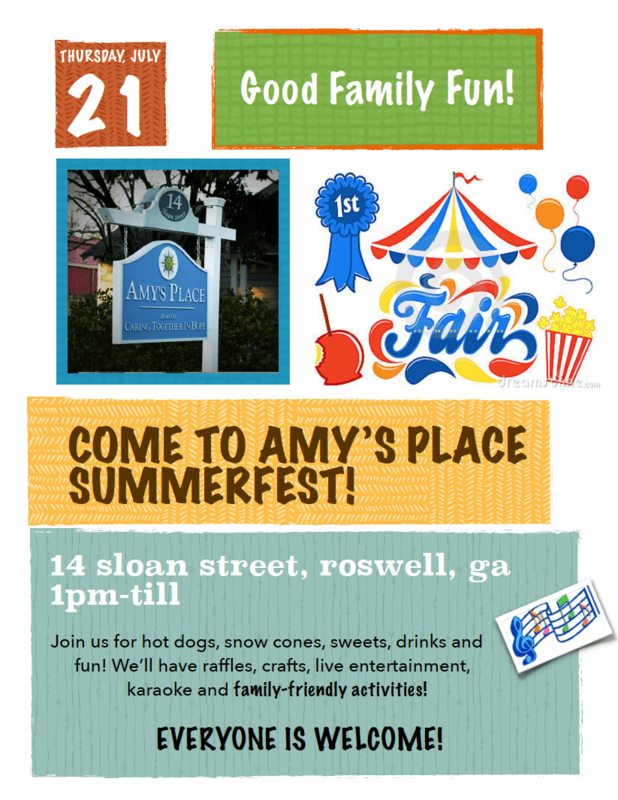 Those of you that follow us on Facebook know we love being a part of events like the SummerFest we helped plan at Amy’s Place in Roswell, GA! I say helped, because there were a ton of others involved (see the Amy’s Place newsletter link below for a complete listing of all those that helped). However ,a special shout-out to Neil Scott Barbour for his work as MC and saxophonist Ollie Patterson for his fantastic prowess on the horn! terrific time despite it being a steamy day in July! 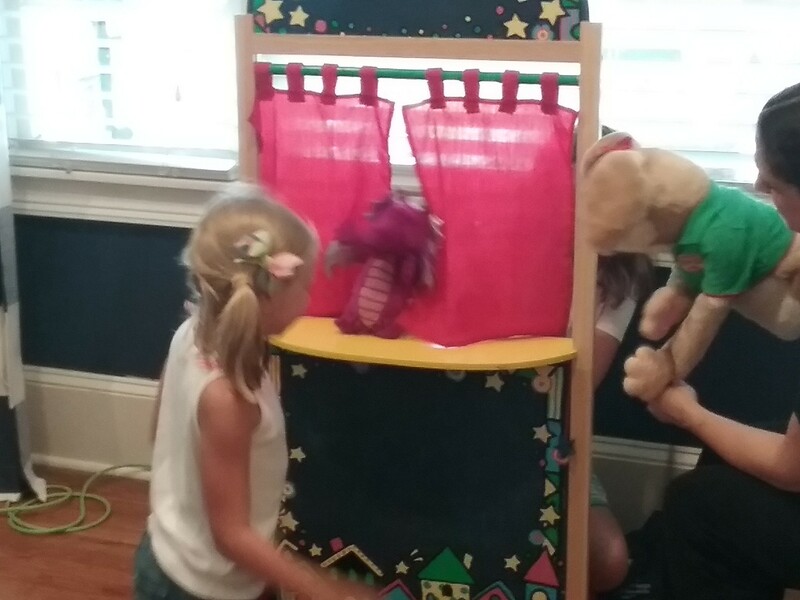 I spotted impromptu puppet shows as some of the younger guests played. The prize table for the raffles was loaded and I saw lots of red and blue tongues and lips from the snow cones! There was no shortage of cookies either! I continue to be so impressed by Amy’s Place and their leadership Pam and Jean. I feel like a one-man ambassador talking them up to everyone I meet! Their work to help families facing dementia is truly wonderful. I know there is talk of a second SummerFest at Amy’s Place in 2017. Pam and Jean…COUNT Caring Companions of Atlanta IN! 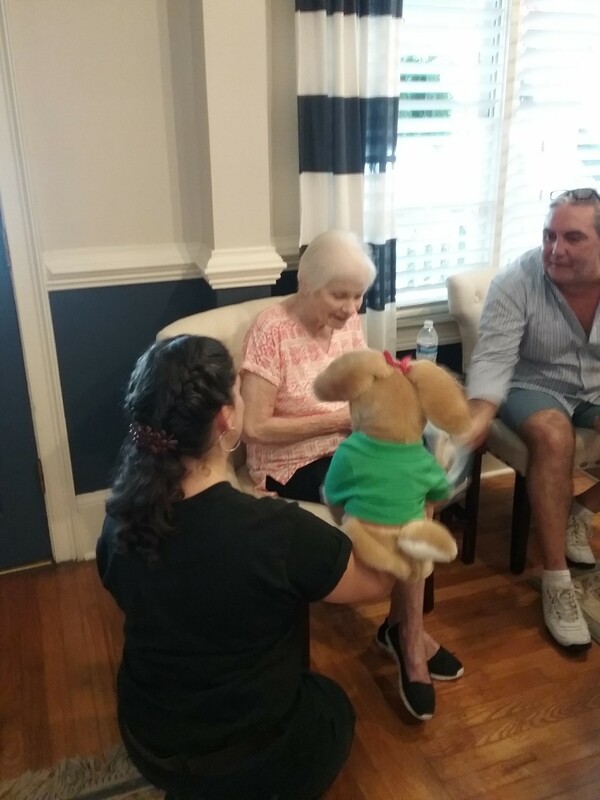 Caring Companions of Atlanta has chosen helping facilities like Amy’s Place entertain their constituents as a cornerstone of our community involvement. 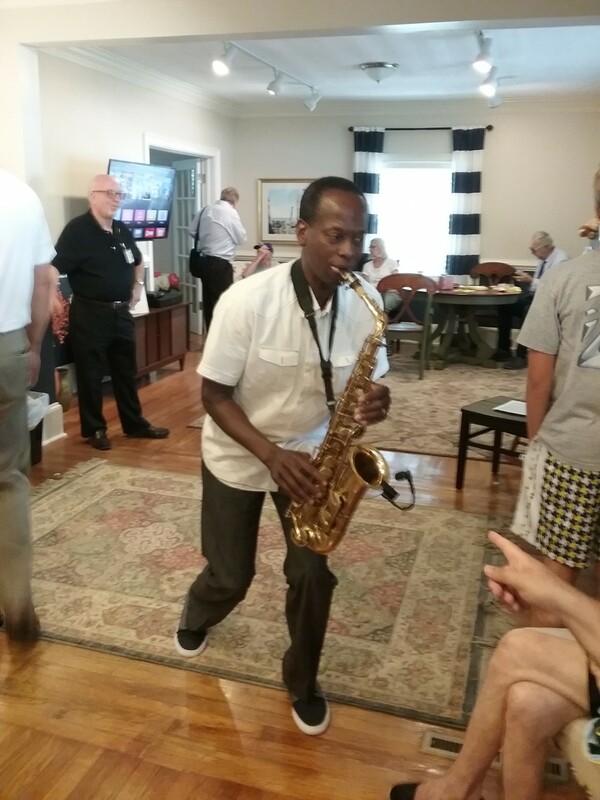 In addition to the SummerFest, we have helped Insignia of Sandy Springs with Senior-Senior Prom, offered the British Voice Talent to numerous facilities for readings and jumped in with Dogwood Forest to lend a hand with several of their events. Come on seniors…let’s have some fun! July 21st is Amy’s Place SummerFest! Everyone likes a little summertime fun! Next Thursday, Amy’s Place is THE place to be! I met the Executive Director of Amy’s Place, Pam Van Ahn via my friend Neil Scott-Barbour (the British Voice Talent ) last winter. Amy’s Place is a social gathering spot for the family caregiver who takes care of a loved one with dementia. Dealing with dementia can be so taxing on families and having a place to go spend time with people facing the similar circumstances can be so helpful. When I first met Pam, she spoke of planning and event. Exactly what that would be was undecided, but she was leaning towards some summer fun. As a career event executive prior to entering the senior space, I was very intrigued. Well, the idea blossomed into a summer festival. A group of us got together and volia! So, on July 21st, come for an afternoon of fun at 14 Sloan Street in Roswell. The fun starts at 1 PM and goes until the evening. Everyone is welcome and there will be food, live entertainment, crafts, games, a puppet stage and raffles. Don’t miss out! Great idea Pam! All of us that have had the privilege of lending a hand really appreciate all you do!